The Think Tank Storyteller 8 is a well-designed combination of high quality materials and compact design at an affordable price: $69. This nimble shoulder bag is perfect for a day outing when you want to travel light and work quickly. The top flap provides quick access to all of your gear, yet it shields the contents of the bag from those around you. 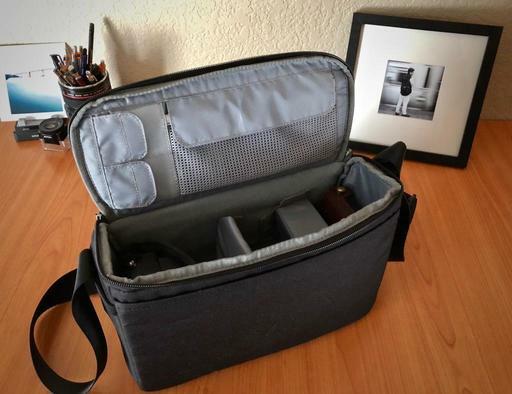 It's big enough to accommodate a DSLR and a couple lenses, or a substantial mirrorless kit. I tested it with a PEN-F, 14-42mm EZ zoom, Pentax KP, 18-50mm DA zoom, and Olympus PRO 45mm f/1.2 prime. 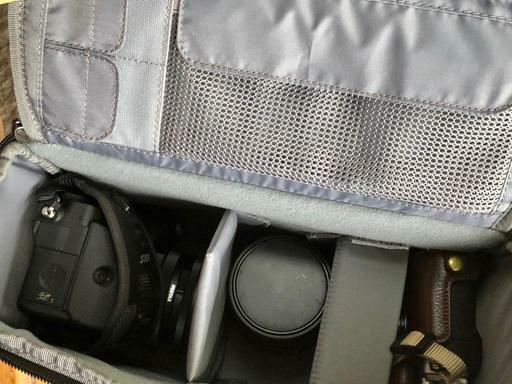 All of these items fit easily in the main compartment of the Storyteller 8. On the inside of the top flap there are two memory card holders and a very nice zippered pocket that allows you to see its contents. There's also a handy backside pocket on the outside that's perfect for subway tickets and other quick access items. And the front pocket area has all sorts of nooks and crannies for your accessories. I found the Storyteller 8 a very easy bag to work out of. I wore it cross-shoulder while exploring the city. When I saw a shot, I would swing it around, open the top flap, grab the camera and shoot - all in one easy motion. The bag is constructed of very high quality materials. And it does include a rain cover if the weather turns on you. I liked the Storyteller 8 so much that I procured two of them to give away at our upcoming San Francisco Street Photography Workshop on April 26. 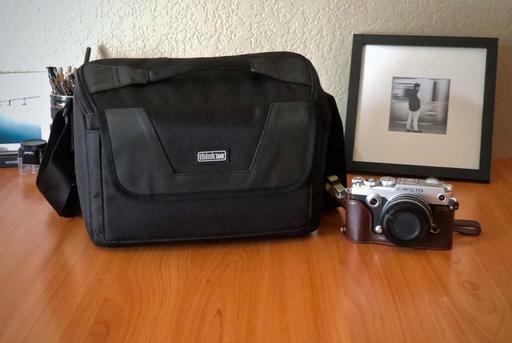 (All photographers will get a bag, but two very lucky ones will receive their own Storyteller 8s.) It's the perfect companion for urban adventure.